Good. Sewn binding. Cloth over boards. With dust jacket. 107 p. August Wilson Century Cycle. Used, Acceptable Condition, may show signs of wear and previous use include highlighting and writing. No guarantee on products that contain supplements. Please allow 4-14 business days for delivery. 100% Money Back Guarantee, Over 1, 000, 000 customers served. New. Sewn binding. Cloth over boards. With dust jacket. 107 p. August Wilson Century Cycle. In Stock. 100% Money Back Guarantee. Brand New, Perfect Condition, allow 4-14 business days for standard shipping. To Alaska, Hawaii, U.S. protectorate, P.O. box, and APO/FPO addresses allow 4-28 business days for Standard shipping. No expedited shipping. All orders placed with expedited shipping will be cancelled. Over 3, 000, 000 happy customers. Fine. Sewn binding. Cloth over boards. With dust jacket. 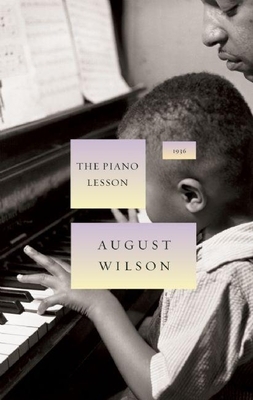 107 p. August Wilson Century Cycle. In Stock. 100% Money Back Guarantee. Brand New, Perfect Condition, allow 4-14 business days for standard shipping. To Alaska, Hawaii, U.S. protectorate, P.O. box, and APO/FPO addresses allow 4-28 business days for Standard shipping. No expedited shipping. All orders placed with expedited shipping will be cancelled. Over 3, 000, 000 happy customers.